Here we give news of our plans for the Worcester Early Music Festival 14-15, 21-22 March 2014. The festival is back by popular demand! Worcestershire Early Music administers the Worcester Early Music Festival as well as other activities, and hopefully to attract funding for our education work. We are planning to open the box office from 1 December so we will update you on the details when available. 8pm Concert by The Gloucester Waites. Our festival opens with a return of the popular Gloucester Waites. The Waites were the town bands in prominent towns and cities throughout England from mediaeval times well into the 1800's. 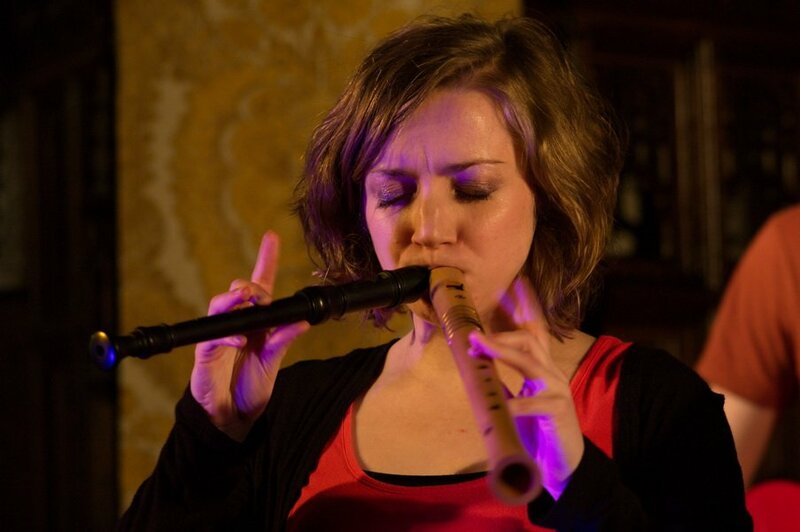 In this reconstruction of the Gloucester Waites, music from 16th and 17th centuries will be played on instruments which were of the time including shawms, curtals, crumhorns and recorders. As part of our outreach programme the Gloucester Waites will have given a workshop at a local special school that afternoon. 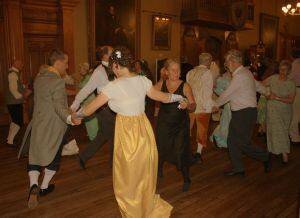 The ever popular Pride and Prejudice Ball; come and dance the dances popular in 18th century as portrayed by Jane Austen in her novels. All dances will be taught by dancing master Brian Stanton, with music from Cat's Whiskers. A light supper is included in the price of this event ( bring your own alcohol). Costumes are encouraged. 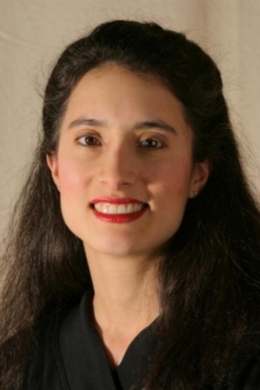 8pm Concert: 'A Question of Influence’ with the Holloway-Schmitz Duo. Michelle Holloway, recorders and MIcaela Schmitz, harpsichord. The programme explores the French baroque, showing the influences that other national cultures had on the French repertoire, before moving to England and Germany, where Handel and Telemann display their cosmopolitan influence. French Baroque music is presented in its purest form, with Couperin le Grande and contemporaries such as Hotteterre, who made famous his treatise l’art de Préludier. These models of the French High Baroque give way to Italian and English influences as heard in the music of Blavet and Le Clair. Finally we hear the cosmopolitan hybrids achieved by Handel and Telemann. Daytime: Free outdoor performance outside the Guildhall by the Gloucester Waites (part of our initiative to extend audiences) 12-12.30 and again 1-1.30. 8pm 'A Cantare e Suonare' presented by the Intrepid Academy. Jennie Cassidy, voice; David Jarratt-Knock, cornetto; Alison Kinder on viols; and Philip Thorby, harpsichord Guildhall, Worcester. Tickets £10. Dramatic songs and instrumental music from early 17th Century Italy, when the brand new 'concerto' style was spreading like fire through chapels and palaces alike. Sacred and secular arias interspersed with canzonas and sonatas - from powerful declamation to intimate contemplation, this repertoire explores humanity and spirituality in a way that is as new now as it was when it was composed. Tickets will become available from 1 December 2013 from Worcester Live Box Office on 01905 611427.The box office is open Mon-Sat 10am to 5pm. You can also purchase tickets person at the Huntingdon Hall Box Office, Crownsgate, Worcester. If you have a burning query ring 01905 20207 or email. Please note- We will have tickets available on the door but we strongly recommend advance bookings, especially for the 'Pride and Prejudice' Ball so we can arrange catering. This beautiful building begun in 1722 features a long gallery room with a wooden floor, ideal for dancing. This is enterered by the front, pedestrianised area. Vehicular access for setting down is via, and this is the location for wheelchair access. Nearest carpark is Copenhagen Street carpark, however it's cheaper to use St Martin's Gate. Photo contributed by D. Johnston. Do I need to prebook? You can simply turn up, but do note we have some very good ticket deals on offer – especially for the ball. Who supports and funds you? We are supported by The Golsoncott Foundation, The Bransford Trust, and our Friends Organisation.